Imagine getting your forgotten charger picked from work or having your favourite meal delivered from a restaurant located 30 miles across the town. Or getting laundry delivered to your doorstep because who has time from Netflix! With Dunzo, your personal assistant is here in Gurgaon to get work done with a snap. With this Bangalore-based app available in Gurgaon, we now have our own 24×7 personal assistant to run errands across the length and breadth of the city with a simple tap on our phones. Whether it’s summer or heavy monsoon dampening your spirits or plain lack of motivation to step outside your homely lounge, get all your chores done with Dunzo anytime of the day. 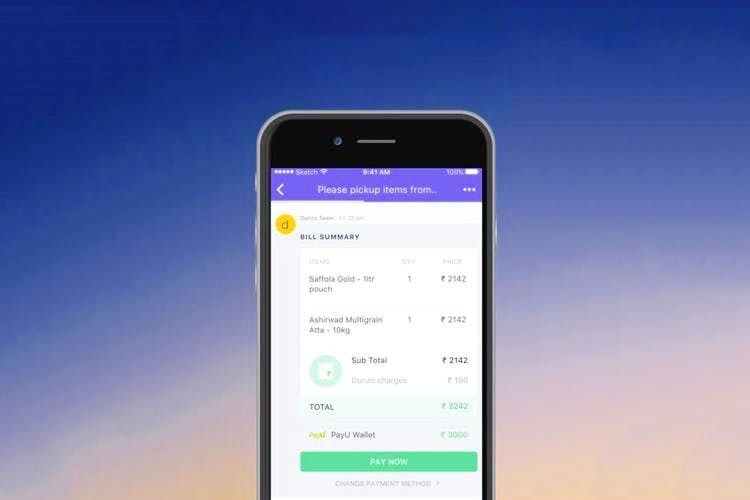 Dunzo is here to take the capital by storm – you can now have food, groceries, party supplies and everything else picked up easily from any part of the town at no minimum charges. The app is available on iOS and Android phones. Sit back and relax as the runners travel around the city to manage all your tasks. Dunzo Launches In Chennai And Is Here To Make Life Simpler! Not Enough Time For Your Daily Chores? This App Will Do ‘Em For You!